When it comes to travel, there are no shortages of dreams, desires, and destinations. However, who has the time in today’s world to plan these adventures? Have no fear, there are a few companies and professionals that take the guess work and research out of it. If you’re looking for a luxury spa, a romantic getaway, a boat cruise to a faraway land, a epic adventure, or a serene island to refresh body, mind, and soul – here are few places to check out. If adventure is what you’re looking for consider taking a trip with Beth McGurr. She is the host of ReadySetDream Travel Adventures and is always on the lookout for new and unique experiences. Having organized hundreds of events all over the country including Memorial Day Weekend in Provincetown, and The Stargaze Women’s Festival. She is known for bringing people together and showing them a good time. These trips are great for the solo traveler, couples and groups looking for a unique healthy and fun experience. Beth teams up with personal trainers, fitness gurus, private chiefs, experts, and unique and talented people from all over the world to create once in a lifetime opportunities. All trips include some aspect of health and fitness, community service, adventure and fun. Check out her blog for info on the next adventure. The oldest women’s travel group in the world providing world class cruises and luxury vacations that are specifically geared toward women. 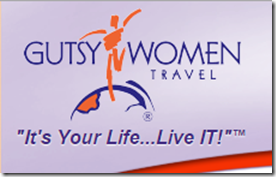 Olivia has been THE travel company for lesbians for over 40 years, with over 200,000 women on cruise, resort, riverboat, and adventure vacations all over the world. The Olivia Experience is about women having fun together for singles and couples alike. Aquafest has been doing LBGT group event cruises since 2001 and offers packages at great dicounts. Various excursions, destinations, and seasonal events are all offered by Aquafest. Creating rewarding and memorable cruise experiences for the black LGBT community. Pied Piper Travel is the premier agency for gay and lesbian group cruises, serving the LGBT community for over 20 years. Committed to offering an extensive variety of cruise destinations on the finest cruise ships and liners at the best fares available, Pied Piper Travel gives you so much more, including private parties, group shore excursions and dining together with your new friends. You’ll have more fun and will never be alone when you are in the comfort of your own group environment. You can relax in knowing that Pied Piper Travel will have it all arranged for you before you board your ship. It’s cruising your way. All Pied Piper Travel gay group cruises are subject to minimum participation. Founded in 2011 as “The Next Generation in Gay Travel” Brand g Vacations is a dynamic LGBT tour operator that encompasses passion for discovering the new, revisiting the familiar, and giving back to the destinations that have led the way for the improvement of the lives of our community. They aim to serve the growing numbers of lesbians, gay men, bisexuals, and transgendered travelers with escorted vacations and international destinations. R Family Vacations brings great vacation deals for everyone! LGBT singles, couples, families and friends. Not exclusively for adults, R Family vacations provides activities and entertainment for your kids as well! Founder Hans Ebensten (HE) ran the first exclusively gay tour down the Grand Canyon in 1973 and hasn’t stopped since. With tours scheduled around the global ranging from adventure, culture, leisure, or luxury…gay and lesbian singles and couples can find the trip of their dreams. GWT believes that there is a Gutsy Women in each of us, one who occasionally needs to make time for herself to refresh and renew her mind, spirit, and body. GWT has been developing a community of women who seek the opportunity to recharge their energies in the company of other like-minded women.